Despite being so dusty, it played all the way through. Well it would appear that my decision on Ebay from my last post has been made. Thanks fate! Chance! Whatever you want to call it. I don't mind. Like I said before, it's money in the bank and that's all I really care about. Originally my plan was to do a lot of Ebay this afternoon when I finished writing. But, that plan was quickly derailed by 45 records that are stacked about 180ish high on my desk that I snagged at the auction yesterday for $2.00. Sometimes split second opportunities like that pop up and when you take advantage of them, you really don't know what you just did until you have more time to look into it. Don't get me wrong, I've been doing this long enough to know that the chances of all 180 records being playable is just not possible. I've been playing them one by one, both sides, to weed out any of them that have any skips. If they don't play all the way through, then they are going into the trash or will be sold in a lot as scratched for crafters or anyone that is wanting to use them for something besides listening to. I'm guessing 25% will fall into the junk category. That means that I estimate 45 of them to be junk right off the top. I randomly picked a few out to see what they were going for on Ebay and was pleasantly surprised. I don't expect to get this much but one of the titles in the mix sold a few days ago at auction for over $50.00. I guess it's rare but we'll see how it goes. Just because that one sold for that much does NOT mean mine will but I can say it will be one of the first ones that go up for auction on the site for obvious reasons. Ebay can be funny that way sometimes. Round one will be listing them on one week auction for $2.99 each. Round two will be fixed price for 30 days at $2.99 each. Anything left will be listed in one lot and the price will depend on how many of them are left but it will probably be around 25 cents per record. My estimation is that my original $2.00 will be turned into about, ish, $300.00 before fees. After Ebay/Paypal fees it would be $255.00 in my pocket. Yep, there's work involved, but not as much as you think. I'm listening to them as I write and do other things so I really don't count that time as time invested into the lot. 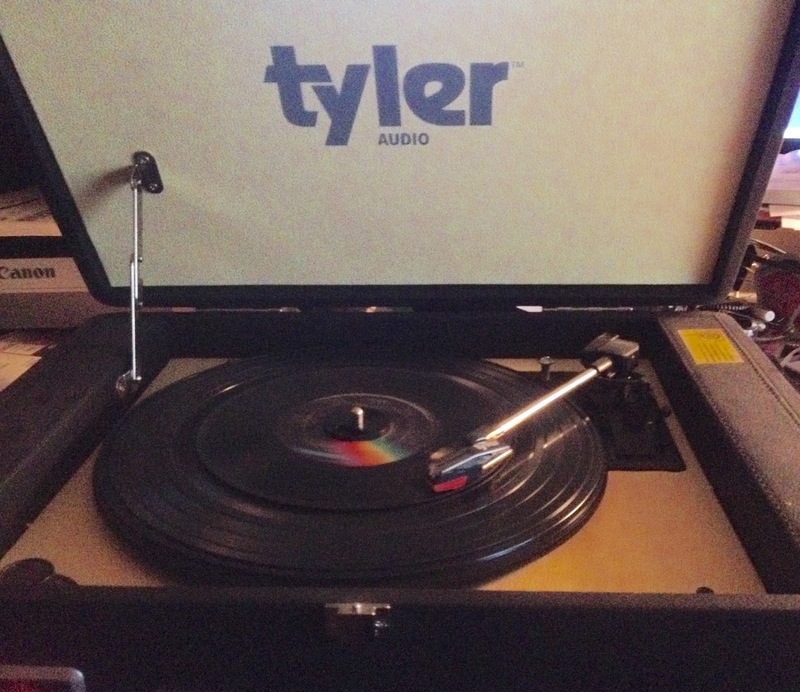 It was nice to dust off the record player! I'll spend a few hours scanning them in for the listings. I'll create my template for Ebay, that will take a couple of minutes, and reuse it for each auction listing only having to change the artist name and songs on each listing. What will take the longest is getting the listings posted, but I only have to do that once for the auctions and the fixed price. Anything that doesn't sell at auction is a simple "relist" and changed to fixed price which is just a couple clicks of the mouse. I'll use the template again, only adding in the artist names/titles for the final listing and let it go until the lot sells. Sounds like a lot of work but in reality, it isn't. I've been doing this long enough that I have it down to a system. Yes, I'll also have shipping supply costs to add into the mix but I get those in bulk so the envelopes and tape are pennies per package. There's also the ink for the labels. I don't miss a thing when it comes to calculating how much I really make, and that includes my time involved. It will take a few seconds to print the shipping label, slap it on the envelope, insert the record and walk it to the mailbox. Anyway, I'm shooting to have all of these listened to by the end of today but I know that is wishful thinking and that it will stretch into tomorrow too. If each one is 3 minutes long, that's 18 hours of music. I listened to about 25 of them yesterday and started again today at 7am. It's going to be an interesting, musical kinda couple of days. Since the weather is so rainy outside today it's actually kinda nice to have them playing today. If I have any time today (ha!) I'll start scanning what has already been listened to. Tomorrow, the listing will start. I'll update next weekend on where I'm at with this crazy little lot after the auction round closes. It could go well but then again, it may not. Your guess is as good as mine on this one and we won't know the final result for a little over a month when fixed price listings end. I've been doing Ebay on and off since 1999 when the site started and can say I normally do not deal with this kind of lower priced item because it does take up more time for a smaller return than I normally like. I just thought this one might be fun to show since it was such a crazy impulse "hey, can someone give us $2 for the lot" purchase. I hope you are having a fantastic Thursday! Copyright 2011, 2012, 2013, 2014, 2015, 2016, 2017, 2018, 2019 by Lanie. Picture Window theme. Theme images by ImagesbyTrista. Powered by Blogger.